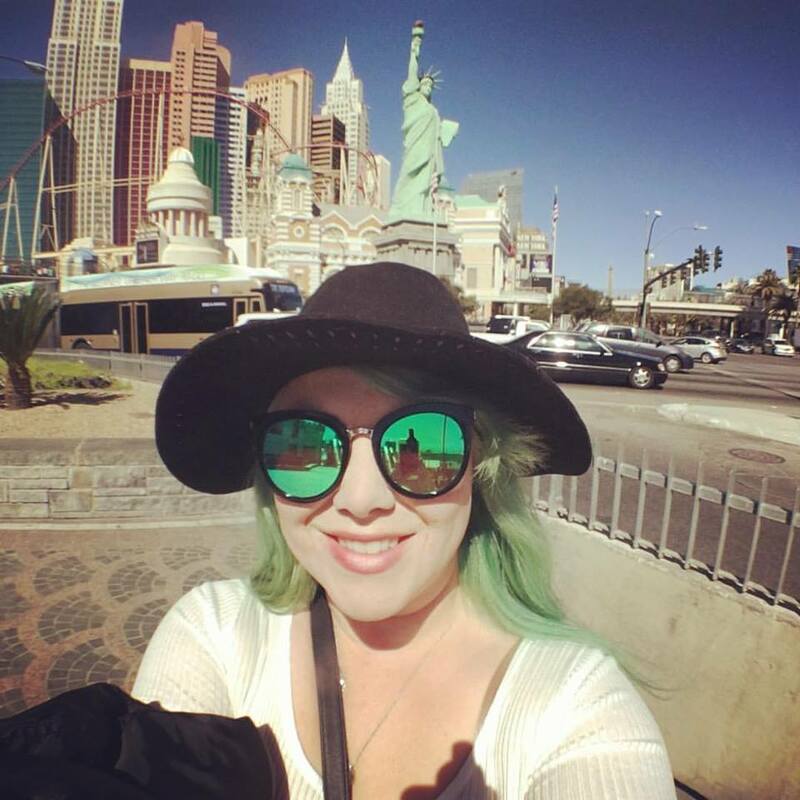 Last week I managed to go somewhere I never thought I would ever have a chance to visit, Las Vegas, Navada (USA.) It isn’t because I have anything against gambling or partying (although I’m not interested in either,) but I grew up far away from Las Vegas and now live basically an entire continent away. 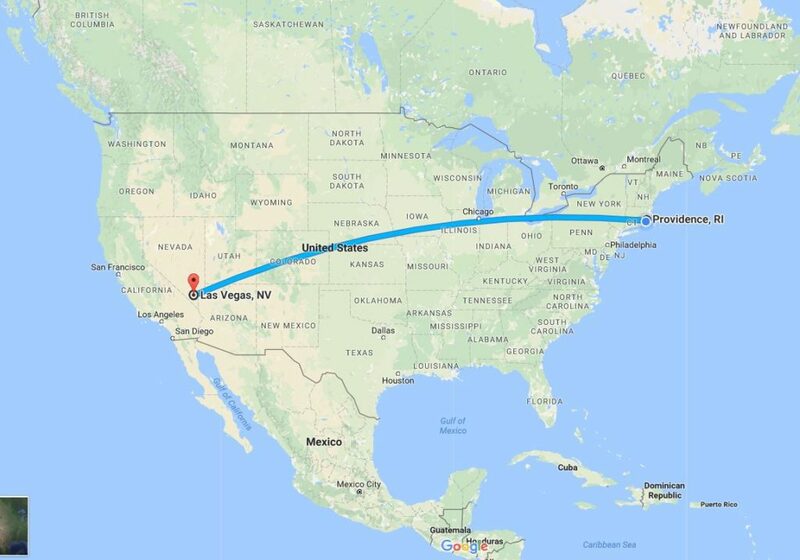 As you can see from this handy map, the red dot is Las Vegas, the blue dot is where I live, and it is a super long flight across the country. Honestly, I had a layover in Detroit, Michigan, the total travel time for me was about 10 hours. I arrived very late at night in Las Vegas, about 11PM, which equaled 2AM East coast time. Yikes! Thanks time zones. Before getting to Vegas, I had purchased a ticket to visit the Bodies Exhibit at the Luxor Casino which was a mile down the strip from where we were staying at the Bellagio. 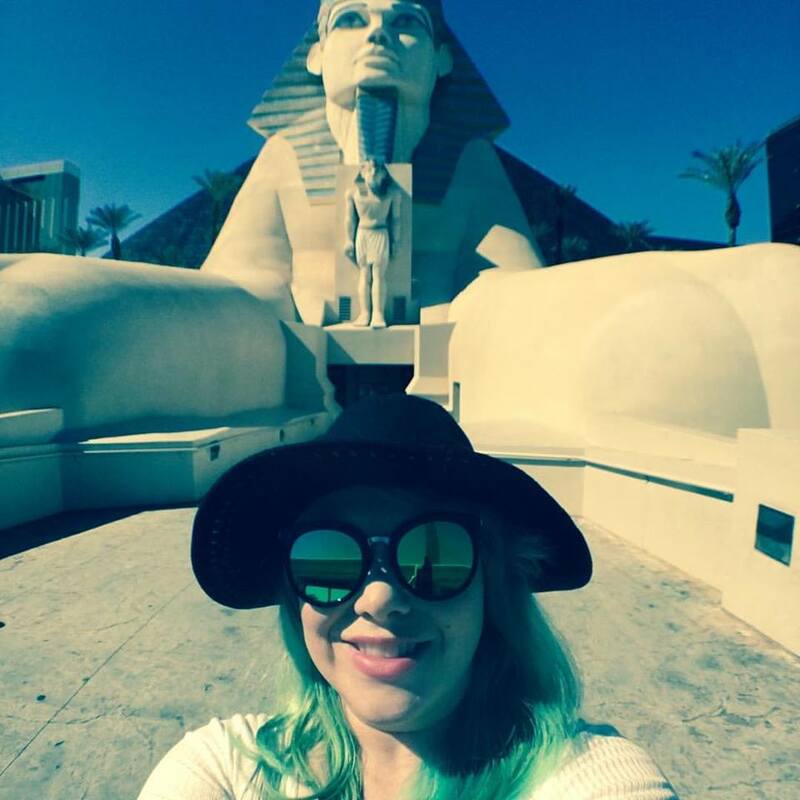 It was fun visiting the Luxor and taking photos with all the other casinos on the south side of the Las Vegas Strip. I’ve managed to miss the Bodies Exhibit every time it visited cities I lived in because no one I knew wanted to go with me! So in the end I went alone- and it was a fantastic exhibit. 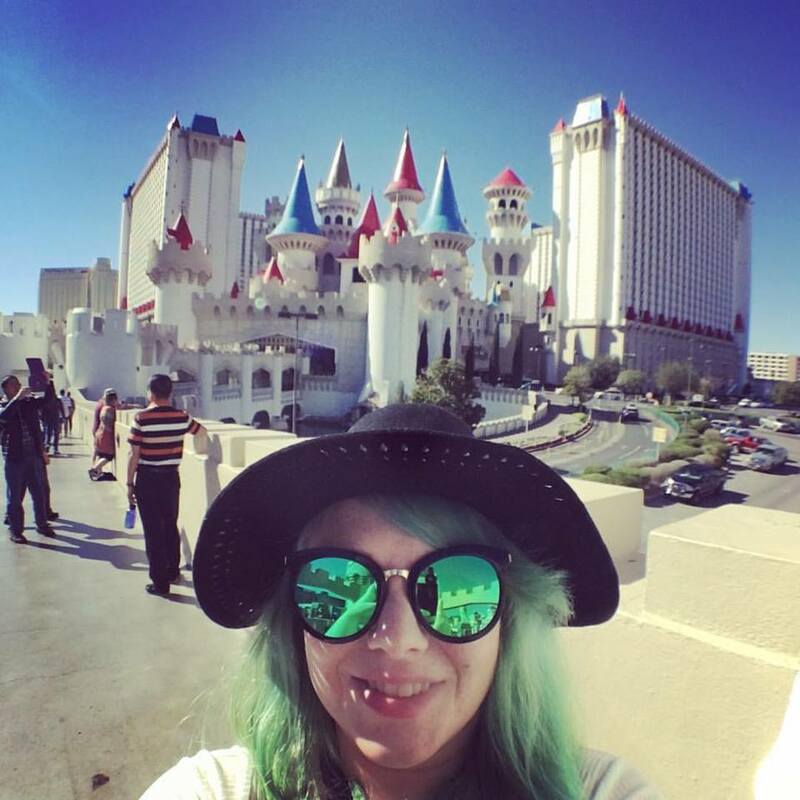 The Excalibur Hotel and Casino- it’s Medieval Times on steroids. The Luxor Sphinx, which is actually the enterance to the Luxor Resort and Casino from the free tram. New York, New York resort and casino which is right across the street from the Excalibur. By the time I was done visiting the Bodies Exhibit, it was lunchtime and Mike finished up his final day of the conference. We met up at an outdoor mall outside of Balley’s Casino which housed one of the best ramen shops in Vegas- Katanaya. Everyone who works there is Japanese, and walking in was like traveling back to a ramen-ya in Tokyo. There is a nice variety of ramen and curry dishes, but it doesn’t have the sushi burritos like the Katanaya in San Fransico does. 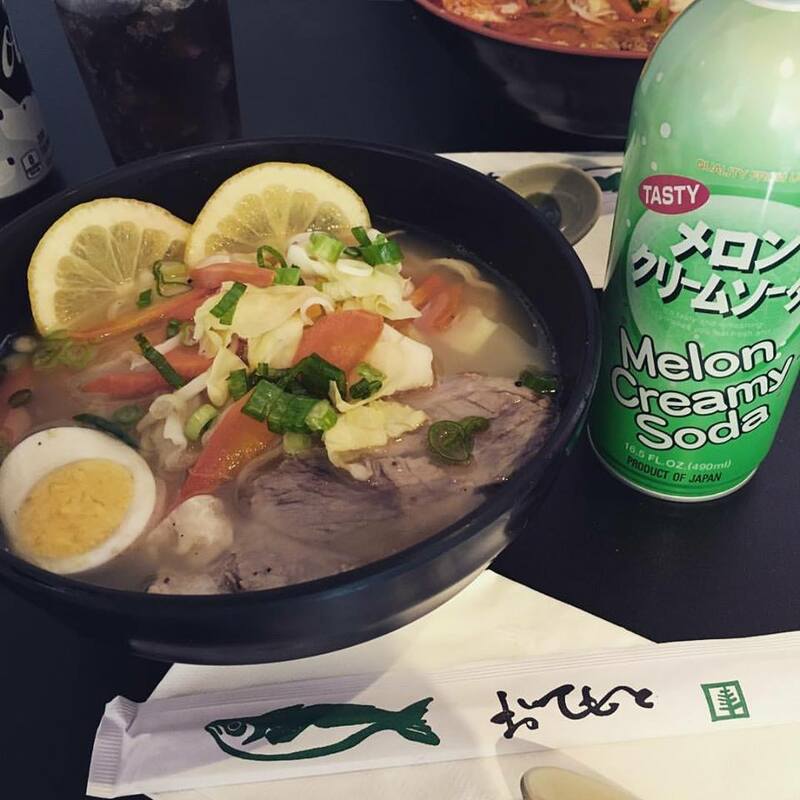 Lemon Shio ramen from Katanaya, and Melon soda. The waitress laughed when I excitedly ordered the Melon Soda, and made the comment jokingly that I’ve obviously have had Melon Soda before. Indeed I have, it was my favorite drink at restaurants around Japan, and my hometown in Indiana once had a similar drink called “Green River,” which has been discountinued. So in short, I love Melon Soda, but where I live, it is nearly impossible to get. Finally, the last thing we did on this jam-packed Friday was see Cirque du Soleil’s Beatle’s Love show at the Mirage. This was something I was deeply looking forward to. I am a huge Beatles fan, and have owned the soundtrack to Beatles Love since it came out in 2006! I have waited 11 years to see this show in Vegas (because it is only in Vegas at the perminant theater in the Mirage Casino.) The soundtrack is fantastic and I may have it memorized, however they just recently changed up the line-up of songs which resulted in the addition and subtraction of some songs from the original track list. I’m not surprised that they did this, makes sense after a decade of shows, but you could really tell when something had been added because it just wasn’t as- spectacular. It felt out of place, even Mike noticed it and he isn’t familair with the show at all. What I did love about the show was all the behind-the-scenes set recordings of the guys talking to one-another. You could tell how much they loved working with each other at one time, joking around and having fun while recording tracks. 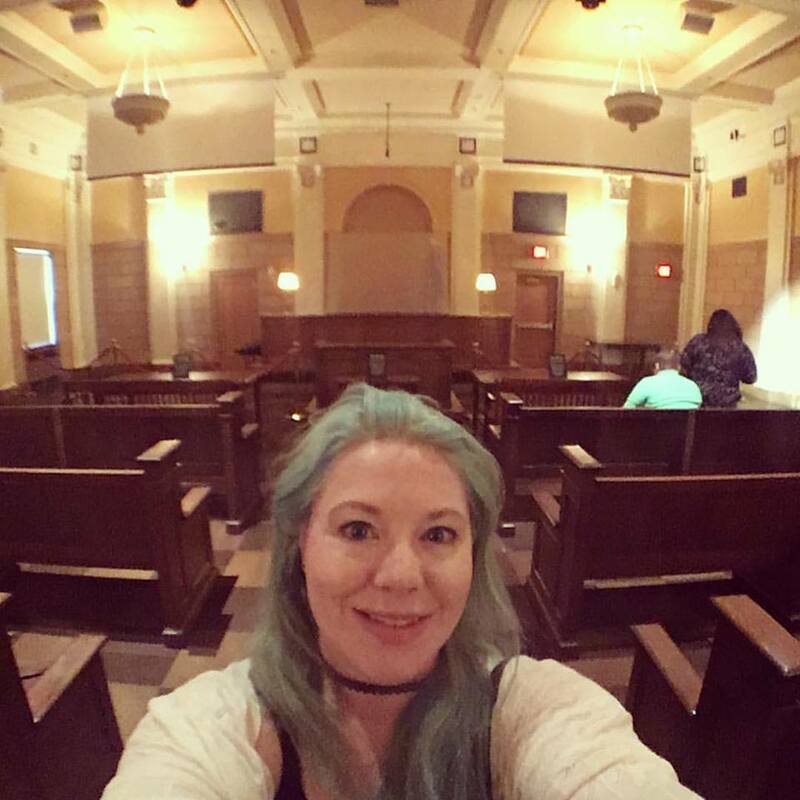 Old Las Vegas city courtroom, which saw a lot of mobsters in its day. 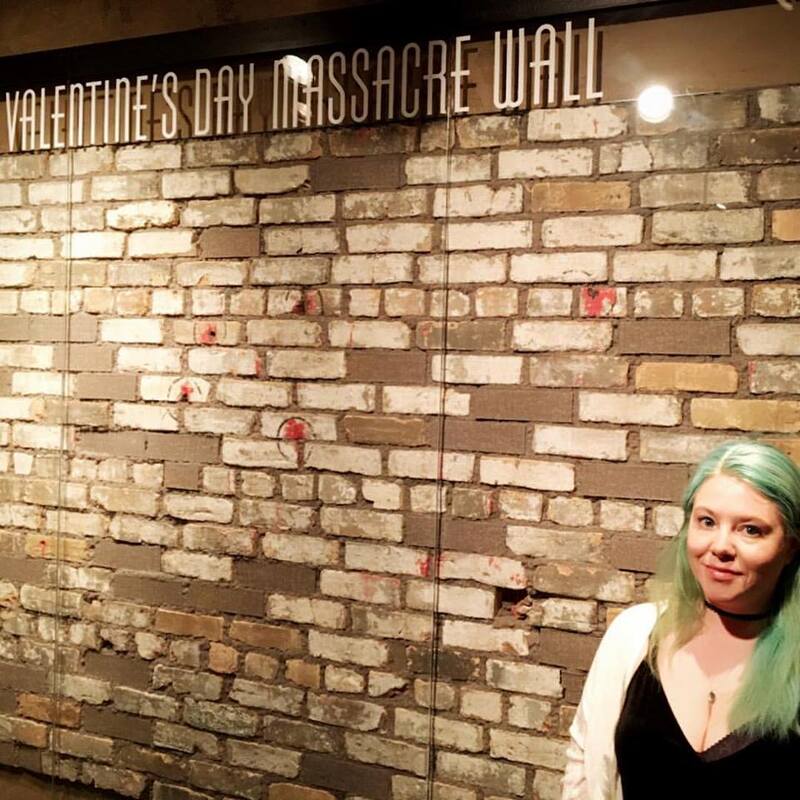 The St. Valentines’s Day Massacre Wall- February 14, 1929. 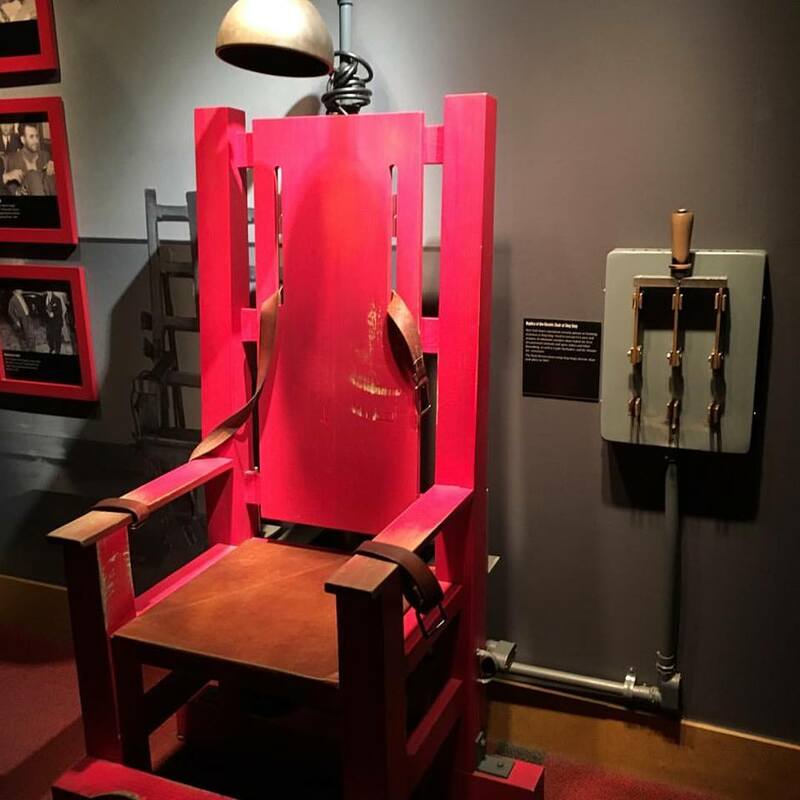 A mock of “Ol’ Sparky” from Sing Sing Prison in New York State. The Mob Museum is fantastic, but will take an entire afternoon to do. 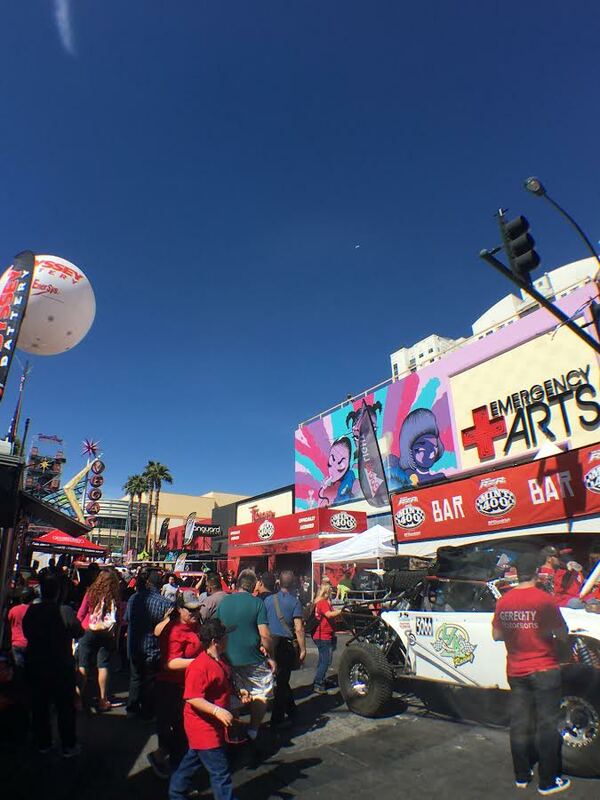 It is just off the Freemont Street Experience, which is what we did afterwards. Mike and I may have spent an entire hour just sitting at a coffee house and watching the diverse Vegas crowd of locals and tourists march by. Photos wouldn’t do it justice, but I did take two short videos of what it looks like. 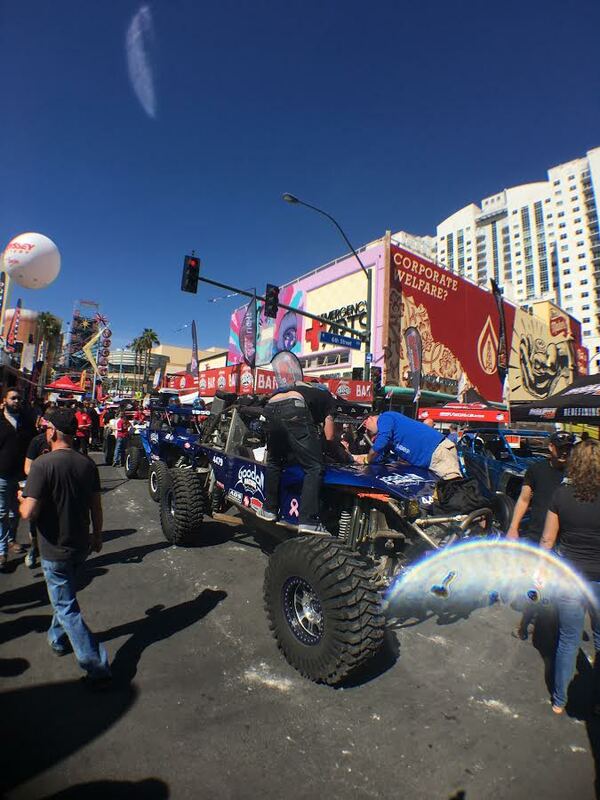 While crusing around Freemont Street, we ran into a HUGE off-road racing event. 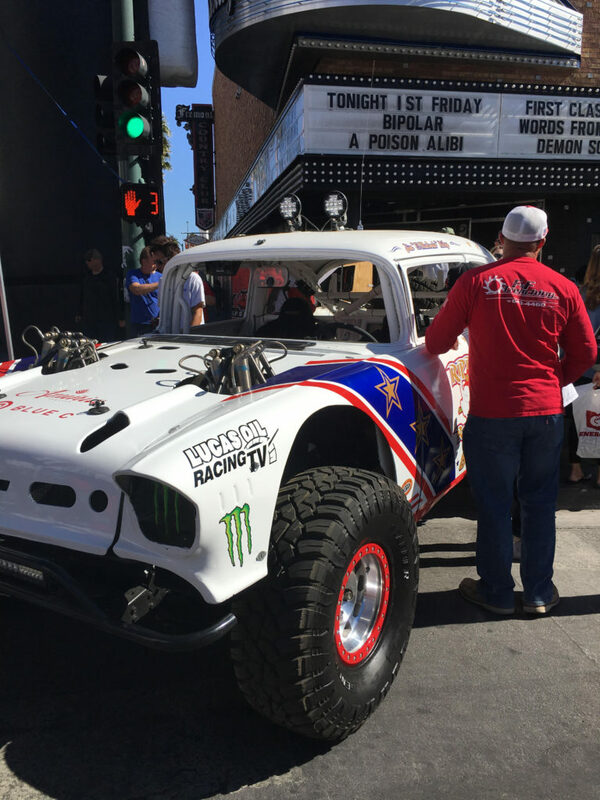 There was a large variety of cars and trucks that have been outfitted to race on this large offroad track just North of Vegas. While waiting for our tacos as a local tacoria, we ran into a guy who was racing in this event! He was telling us about how many of these cars, which have been so lovingly worked on to race, will most likely be destoried during the race! Completely totaled. That fact just blows me away! 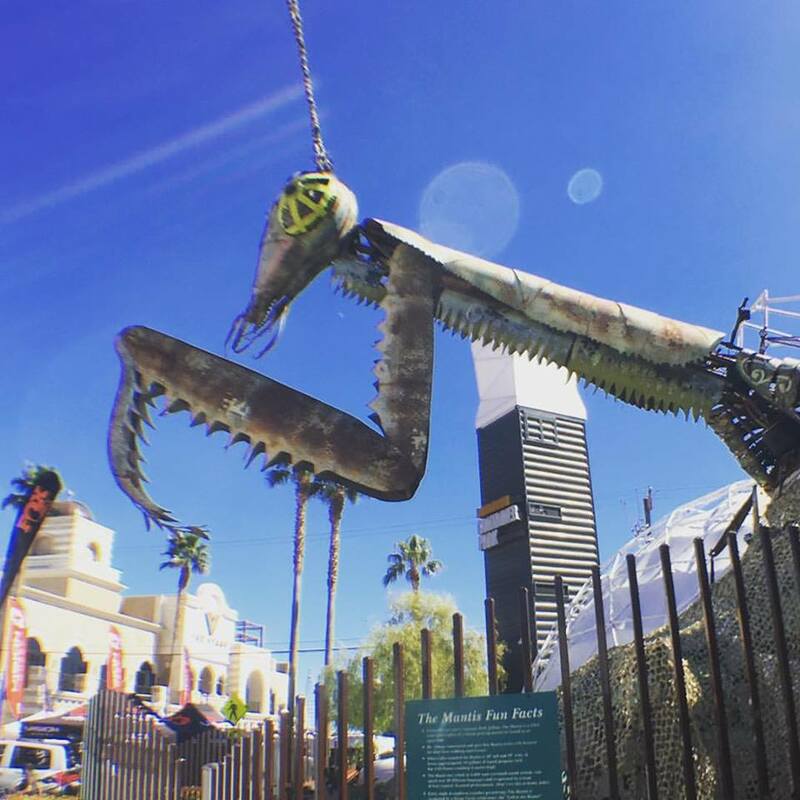 We also found the Las Vegas Container Park, which was a fun place to get some food from a local restaurant. 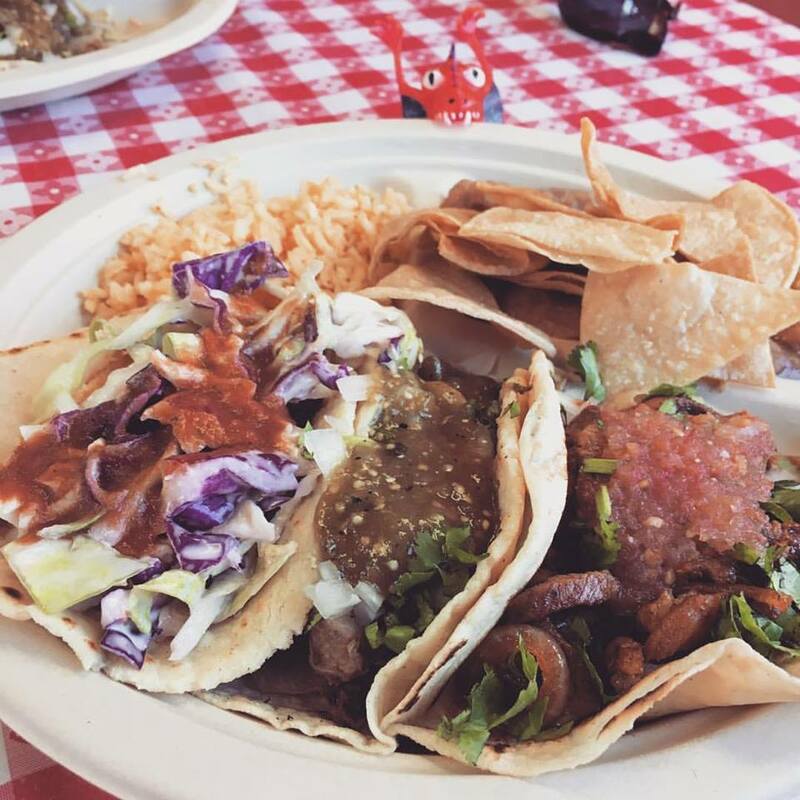 We chose Pinches Tacos, which had fabulous food and specialized in meats and fillings you usually don’t see at your local tacoria, such as cow tongue and cacus tacos. I didn’t order the cacus, but I do love cow tongue, and happily ordered that in addition to fish tacos. After crusing around downtown Las Vegas, the two of us were beat. One thing that has surprised me about Vegas is the amount of walking you do there, we were averaging 9 to 10 miles of walking a day (good thing I packed sneakers!) So, Friday night we just crashed in the hotel room. Before we got back, we bought some gyros (yay!) from a food stall and some chips and drinks from the CVS that was across from our hotel. We then just stayed in and watched Arrival with Amy Adams. Like I said, we’re not big partiers. 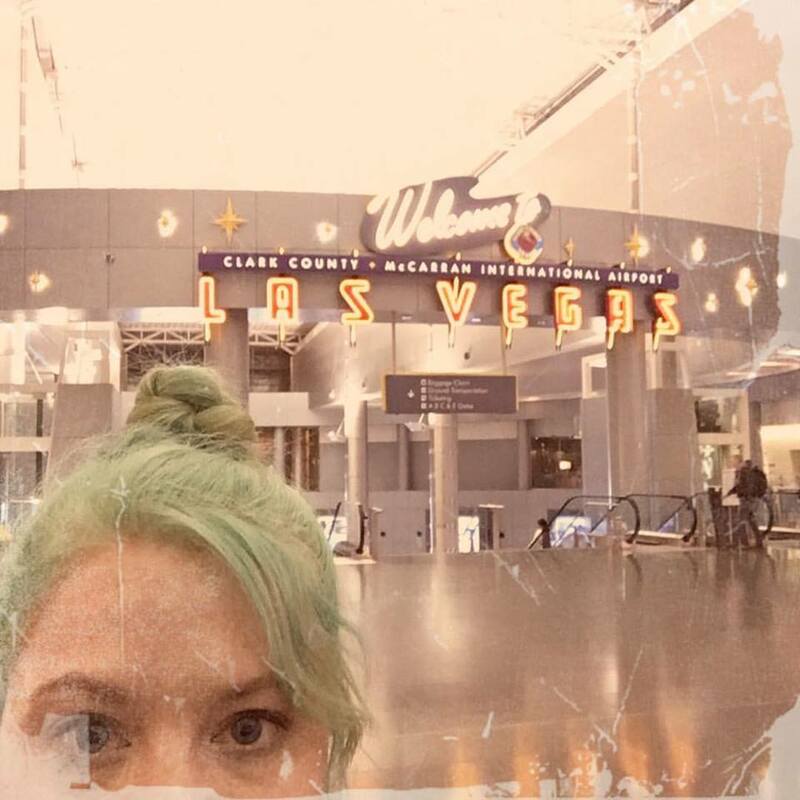 Saturday, our last full day in Vegas, was more sightseeing, me hosting the Paranormal View radio show remotely, and topped off with the Pen and Teller show. 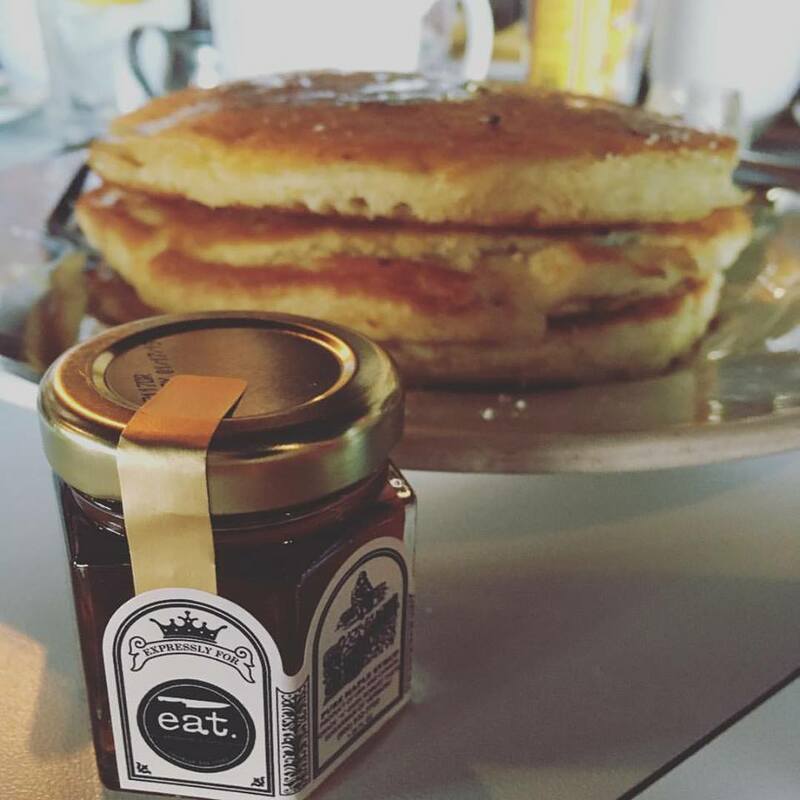 We started the day visiting with Mike’s cousin who lives in Vegas and having brunch at her favorite restaurant- Eat. It is right behind the Container Park in downtown Las Vegas. 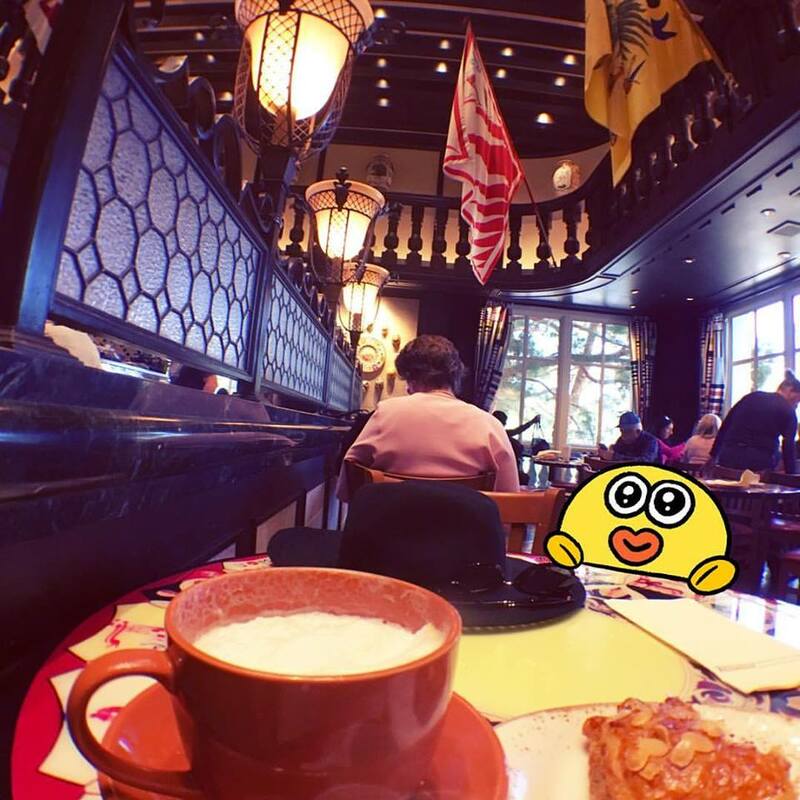 There is a limited brunch menu, but the food on it is delicous! I went with the pancake stack, and wow is it huge! The pancakes are heavy and fried on the same griddle that the bacon and sausge is cooked, so you get that taste of bacon when you eat them. So, they are not for my vegatarian and vegan friends out there. After the radio show, we hussled to the Rio Resort and Casino to see Pen and Teller’s comedy and magic show. We picked up our tickets, and then had dinner at the Rio- it was the only time we had a meal in a casino. 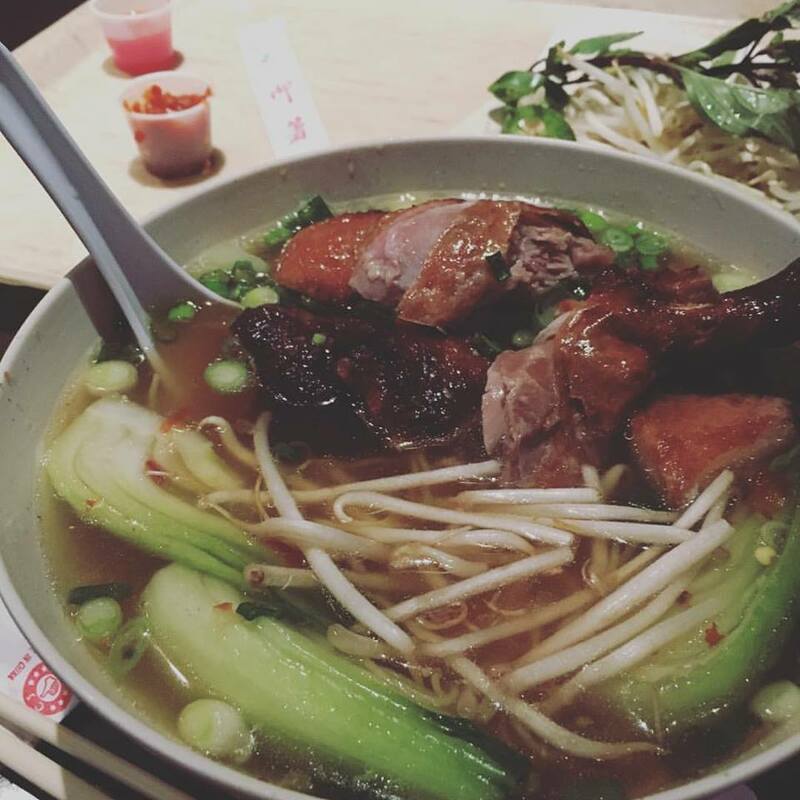 We chose a Pho place, where I had some delicious duck pho and Mike had the special pho of the day. Pen and Teller were fantastic! We then hauled our very tired selves back to the hotel to sleep for the 3 hours we got before heading back to Rhode Island. 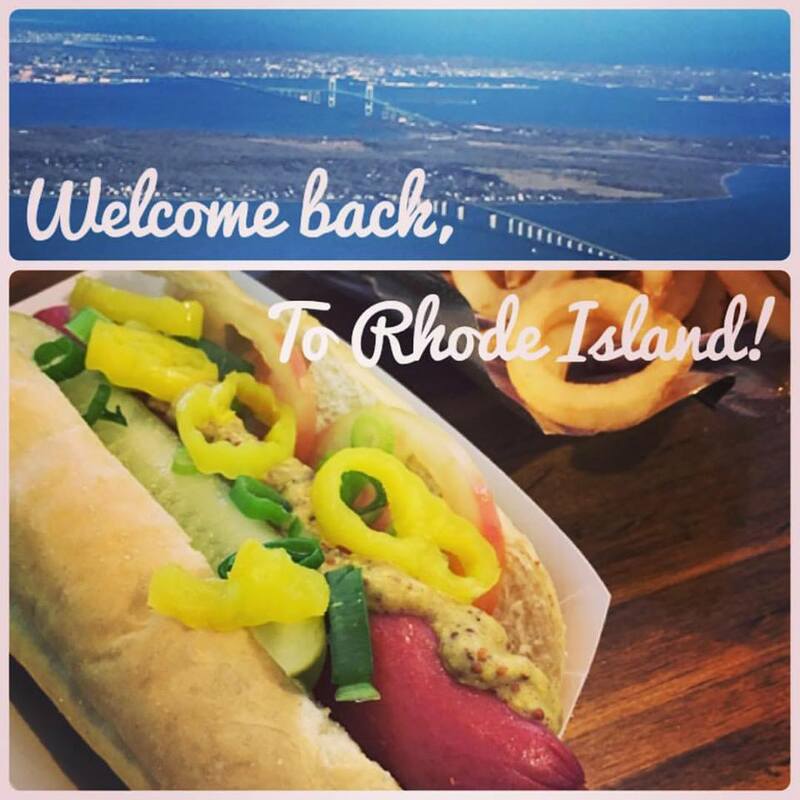 Our friends picked us up at the airport, and to welcome us back to the East Coast, we had some wieners! Overall, it was a fantastic trip and Vegas surprised me a lot. I was expecting a large around of articifiality, but in reality we were greeted by some very friendly and genuine locals. 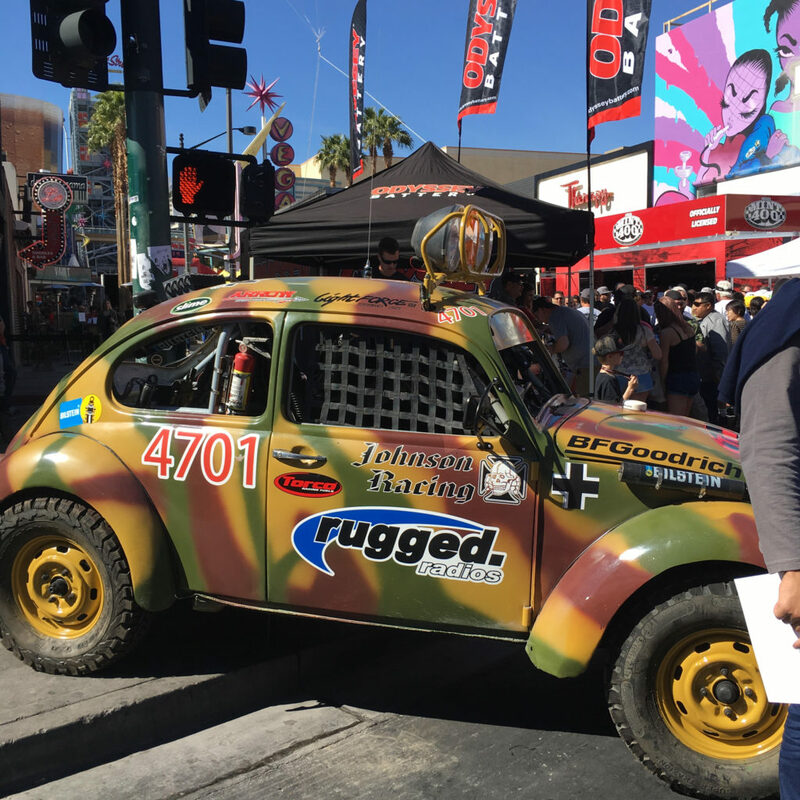 One observation I have is that Vegas is really in a tug-of-war struggle between old Vegas supporters (when Vegas was run by the mob) and supporters of the progressive, family-friendly Vegas that it is now trying to build now that Vegas has “gone straight” (not mob run). There are people who really miss the old golden age of Vegas with the Rat Pack, showgirls, and gambling in smoky halls. Honestly, I’m loving this new Vegas with international tourists, a strong local food scene, and a growing museum and exhibit culture. I’ll definetly return to Vegas to explore some more!